Explanation: Early morning dog walkers got a visual treat last week as bright stars and planets appeared to line up. Pictured above, easily visible from left to right, were the Pleiades open star cluster, Jupiter, Venus, and the “Follower” star Aldebaran, all seen before a starry background. The image was taken from the Atacama desert in western South America. The glow of the rising Sun can be seen over the eastern horizon. Jupiter and Venus will continue to dazzle pre-dawn strollers all over planet Earth for the rest of the month, although even now the morning planets are seen projected away from the line connecting their distant stellar sky mates. If you search the skies for signs and signals from extraterrestrial civilizations, search carefully in the Pleiades, readers. Right now in the cycle of heavenly order, you will, in the late evening time find the Pleiades and then that which will appear to be just beneath the constellation will be the BRIGHTEST “Light” in the heavens. That, readers, is MY SHIP. I do not care WHAT THE ASTRONOMERS TELL YOU IT IS, IT IS MY SHIP, THE PHOENIX! We are more frequently now strobing the rainbow lights for recognition but not so steadily as are the other craft placed around your viewing arena. And, NO, I do not care whether or not you believe me. Your “belief” in ignorance and my truth in KNOWING are two quite differing perceptions in FACT. This seemingly “small” cluster of stars, well known even if only visible best through peripheral-vision sight, is actually very big and VERY BRIGHT. Is it too far away or too close–which is it? Neither, it is exactly PERFECT in placement. You are simply constrained by your visual limitations in that the Pleiades has the type of Light that is seen best through the rods of the eye and not through the cones of the physical eye. There is a good REASON for that phenomenon but that is for another day and another lesson on “vision”. This “little” cluster of “somethings” is recognized throughout history and right into the current myths of all original tribes. They have been known as the “Seven Sisters”, the “Daughters of Zeus”, “The seven nymphs of Poseidon” as associated with “Dorian” woman. As the “daughters of Zeus” they are called Maia, Electra, Celaeno, Taygeta, Asterope, Merope, and Alcyone. Mothers of Greek gods, they are believed to have been turned into stars by Zeus so that they might be safe from Orion, who had chased them for several years. There are no stars so widely acclaimed as these; their beauty and grace are spoken of in literature from all cultures, past and present. ARE THESE TWO POSTS RELATED TO SOMETHING BIG???? : Wake up Call: Horus + Hatonn, Feb 26, 12……WIKILEAKS: Something ‘Extraordinary’ Is About To Be Released, And 25 Media Organizations Are Preparing For It! 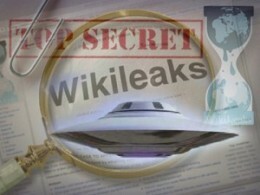 WIKILEAKS: Something ‘Extraordinary’ Is About To Be Released, And 25 Media Organizations Are Preparing For It! According to business insider.com, which is proving itself to be a very reliable source of information for our changing times, is reporting that Wiki leaks has reported that a mystery press conference will be held on Monday, February 27th, 2012, at 12 Noon at the Frontline Club in Paddington, London, England. According to Wiki leaks, over 25 media organizations have been working in silence for months in preparation for tomorrow’s press conference. Wiki leaks suggests that everyone interested should follow the Wiki leaks twitter feed closely as extraordinary news should break sometime in the next 96 hours. HATONN: Only one president refused to “play ball” about the secret (UFO) cover-up and funding thereof: John F. Kennedy. This is where it starts, precious ones, the grandest cover-up in the history of a planet. And, believe it or not, this happens time after time on all planets where human beings live who have Free Will Choice. And once again it has taken you two-thousand years—just like Esu Immanuel/Sananda (“Jesus”) told you—to bring yourselves to the brink of destruction. Chelas, believe me, it takes a lot of mischief-making to self-destruct a planet. My, how busy you have been. “Jesus”, God’s Hosts, AND YOU ARE EXTRATERRESTRIALS! You still seem to think the universe revolves around this little blue-green emerald of yours in space (heaven). Friends, you still think the world is flat. You do not know that there are in your own Milky Way galaxy, where your sun and planet swims, 187 BILLION INHABITED PLANETS WITH BEINGS ON THEM LIKE YOU! What do you think this knowledge will do to your earth if it were made known? All those who control you through money, religion, wars, RACE CONFLICTS—they would lose their power overnight. And that is something your adversary is not willing to do without a fight.